Home - Real Estate - House for sale in - Frank Gulati, Royal LePage Real Estate Services Ltd. Your neighborhood Dependable | Reliable | Professional | Realtor ! I started in Real Estate as a buyer specialist learning the business from my peers, I specialized in all types of residential, luxury homes, investment properties, Buying | Selling | Investing thereby creating buyers into long term investors. Whether you are buying or selling a home, you can count on me to deliver a better real estate experience. I will do for you what others may not, being a problem solver and solution finder is my basic trait which is essential part of negotiation as well. Real Estate is my passion and it happened just by chance when friends and colleagues insisted that my knowledge in real estate was so sharp that I should share this advantage by becoming a realtor and help people by sharing my knowledge so that they can benefit as well with my ideas and skills. Some things come to people naturally and many of us are avid investors and keen real estate enthusiasts. Though, only a few are able to make it a profession, be disciplined, manage the stress and odd hours that a realtor has to endure can take its toll as in many other professions you have to be trained well. 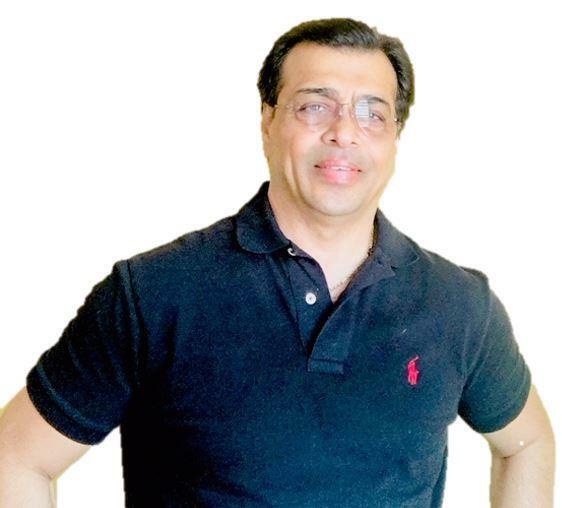 Over the years I have mastered the concept and have developed my own strategy whether it is related to Buying | Selling or Investing in Real Estate, I have successfully executed many transactions for my clients & friends who have benefited by my sales technique and process in the long and short term real estate investments. Working TOGETHER is KEY and TEAMING up makes more sense as aim to reach the goal should be the ONE only. You always have to prioritize, a professional is never too expensive or cheap that individual is JUST RIGHT ! because he/she provides you the most satisfactory service or solution that is warranted at the time. As your realtor I will give you an insight of how several factors are involved and intricately intertwined whilst making a decision and how those factors need to be considered and managed to YOUR advantage there is NO MIRACLE it is pure experience and strategic brilliance which comes in to play. Now YOU need to make the right choice, choose to partner with ME and I will guide you all the way and suggest the best solution. I am Dependable, Professional and a Reliable Realtor in your area. My services to my buyer clients are top notched and is absolutely free.. my clients can buy stress free and get the best value for their investments. My seller clients can get my undivided attention when it comes to marketing and selling their property, there are various additional services provided like Staging, Cleaning, Moving, Storage, apart from our FREE MARKET EVALUATION of the property in detail which makes them confident of their sale. I would like to receive email updates from Frank Gulati regarding Real Estate in my area(s) of interest.